EFT Overview - META-Health Academy. EFT Overview - META-Health Academy. 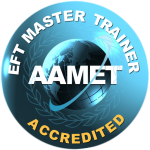 Robert Our EFT Master Trainer and the programmes we train are externally accredited by the AAMET (Association for the Advancement of Meridian Energy techniques ) the largest accrediting body for EFT Practitioner Standards in the world. Our EFT Master Trainer has over a decade of experience applying, developing and integrating EFT with approaches in Energy Psychology, NLP, (Neuro linguistic programming) Mind-body Medicine (META-Health) and many other approaches. Robert has a very busy client practice and EFT & Energy Psychology are core in his approach to help clients identify and overcome their emotional barriers (stressors), limiting belief systems and values conflicts and achieving more of what they want in life, relationships and career. "I've tried various therapies and treatments in the past and I thought I had cleared particular issues until I tried EFT. EFT helped me to clear and re-frame deep core issues. I also learned not to be so hard on myself! The course can be life-changing!" "It amazed me how immediate and dramatically effective the techniques were. One of the most incredible things for me was experiencing a traumatic memory vanish when I tapped on it with another member of the group. I was surprised by how quickly EFT facilitates emotional release! An unexpected bonus of the weekend, was how Robert showed me the areas where I needed to work on issues that I thought I had long resolved, the power of suppressed memories can be daunting. An additional bonus, our work on cravings has stopped me drinking alcohol. As a side effect of the EFT I had been practising on myself before the course I had stopped drinking, but the cravings work that Robert demonstrated over the weekend has put the final nail in the coffin! Thank you Robert"
Learn this fast and effective approach to dealing with problems of all kinds, based on meridian tapping and energy psychology. EFT works extremely well alongside META-Health, and is popularly used to address weight issues, phobias, addictions, negative thoughts and feelings, traumatic memories and stress release. Enhance your EFT toolkit, skills, confidence and success with Level 3. EFT Level 3 is an advanced Practitioner course designed for Level 2 EFT Practitioners who want to go beyond the basics, develop higher levels of confidence and proficiency, gain deeper skills and obtain faster and more effective results with EFT and Energy Psychology. 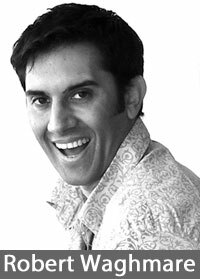 Boost your EFT confidence, learn new techniques, and develop your awareness and skills in EFT and energy psychology: Join the next EFT Mentoring Day. A great opportunity receive supervision from Robert Waghmare and Joanne Ross, experienced EFT Master Trainer and Advanced Practitioner respectively. Founded in 2006 at the very inception of the META-Health revolution, the META-Health Academy continues to thrive under the direction of the original founders Robert Waghmare and Joanne Ross. With more innovations and contributions to META-Health enquiry than any other organisation, the META-Health Academy has earned its reputation as the world's leading innovator in the field. With Tremayne Reiss and Alan Sales, the META-Health Academy also created the entire field of study of META-Kinetics.